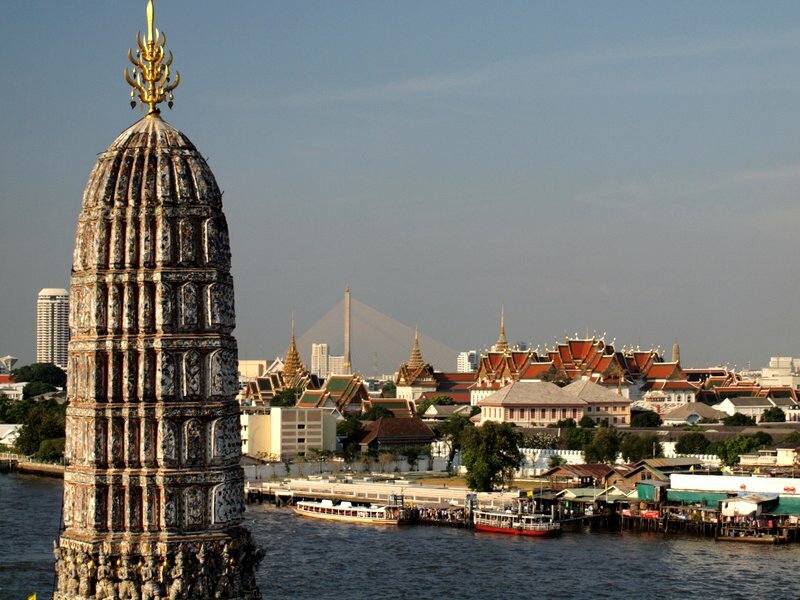 The Chao Phraya River flows through Bangkok. I’ve been coming to Bangkok since 2006. That year student protests disrupted a couple days of my business trip and a month later there was a nonviolent coup. I was here when Yellow Shirt protestors shut down the international airport for nine days in 2008. During the Red Shirt riots of 2010, I stayed right at the edge of the barricaded zone and rode in a taxi through the burning tire smoke of the military’s deadly, protest-ending crackdown. A devastating flood put Bangkok and much of central Thailand in a stranglehold in 2011. After even just one of these kinds of events, most destinations might need a decade to convince the tourist trade it was a good idea to come visit again. And if the reality didn’t discourage people, the narrow view of the seedier side of Bangkok in The Hangover II might be enough. Yet throughout all this, the City of Angels remains at the top of the list for travelers. 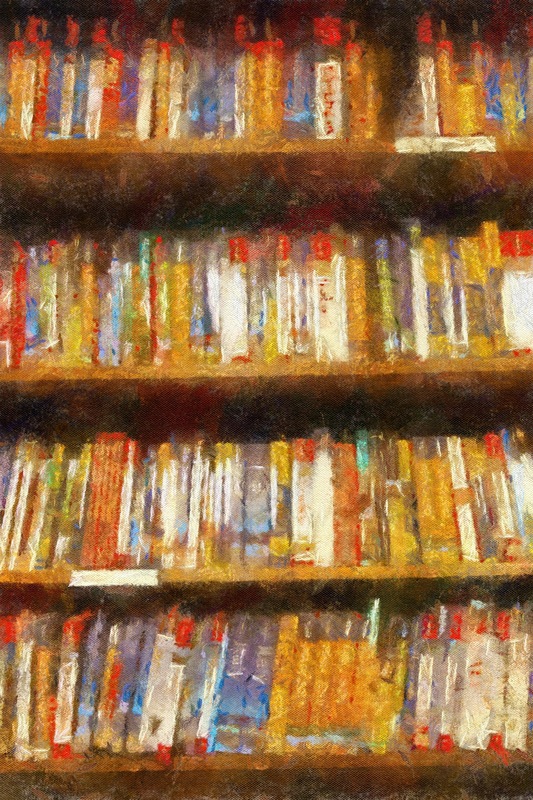 Recently, the Condé Nast Traveler Readers’ Choice Awards 2012 named it the No. 4 city in the world and No. 1 in Asia. 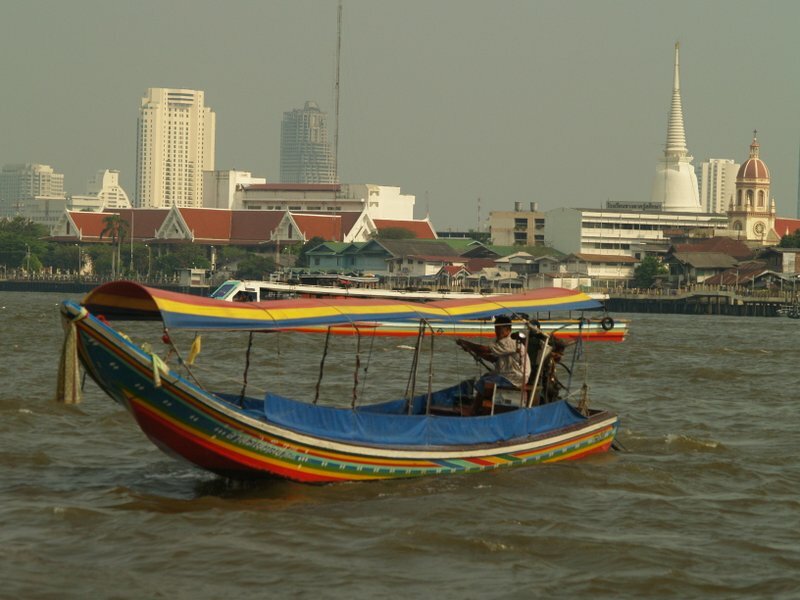 A longtail boat works the Chao Phraya River. What gives? Part of the credit should go to the travelers themselves, for understanding what are realistic dangers for tourists and what are headlines selling ad space. Even the two-month occupation by Red Shirt protestors and its shockingly violent end were easily avoided by staying out of that zone. Tourist attractions remained open throughout the unrest and the flood, and sites outside the city can feel like another country altogether. But still, the heat is a bit much sometimes. The air pollution may bother some. While it has its ultramodern side and a really effective SkyTrain and subway, many of the streets and sidewalks give it a real rough-around-the-edges atmosphere. Bangkok is not going to be mistaken for the nearly antiseptic Tokyo. And unlike Shanghai, in Bangkok the local and the traditional blend right into the modern. They aren’t set aside as a museum-like nod to the past or a mere tourist attraction. The gritty street vendor works the walk in front of the Louis Vitton showcase window. So what is the answer? I say it’s magic. The magic of a place that despite all modernity maintains a true sense of the other-worldly. 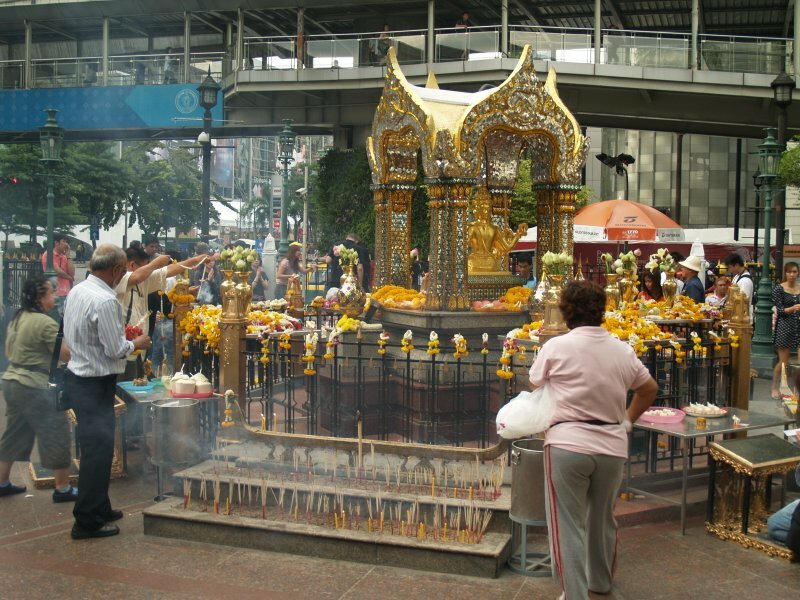 Incense drifts through the air from the mystical Erawan Shrine past the doors of the Grand Hyatt just steps away. The customary grace of the people can make a visit to a $5 an hour spa seem like you’ve been mistaken for royalty. The glittering temples and the high-end fashion malls. The city turns around you, leaving you dizzy as if you’ve been on a merry-go-round. Even that seedy side, which no one in the tourist authority would want to talk about, has become an attraction; families with kids walk through the Patpong night market. And then there’s the Chao Phraya River, the potent national riverway, muddy and serpentine, that drains the northern half of the country. It runs right through the capital city and into the nearby sea. The river is relentless, always working, abounding with working barges, commuters, dinner cruises and longtail boats, kids or fishermen incredibly slipping into the dirty shallows along the edges. And yet it is accessible to a tourist for pocket change. You hop on and off at floating metal piers that screech at their pylons in the crisscrossing wakes to slip into Chinatown or the Grand Palace or far from the beaten path. Cross that river and you can bicycle along narrow concrete paths amid houses, held by stilts just above the soggy world along canals. This is the way Bangkok looked less than a century ago. And these are just a few of Bangkok’s magic tricks. 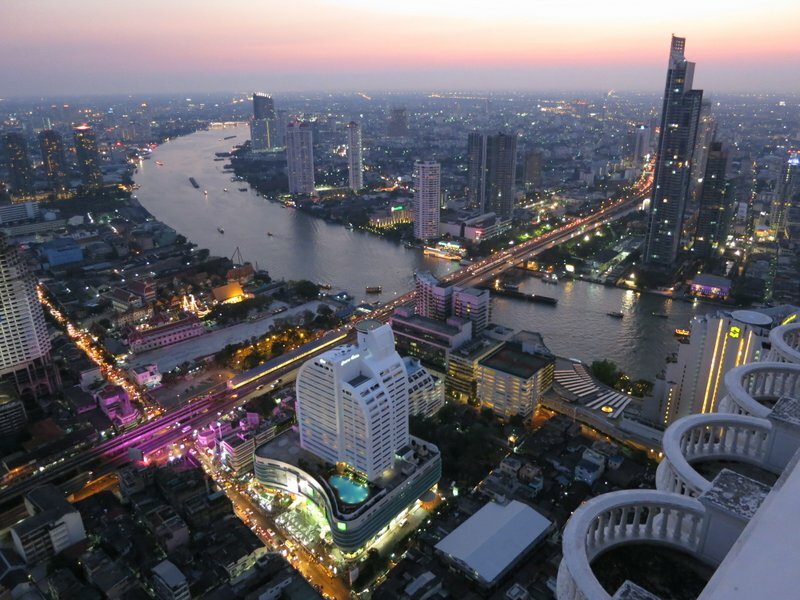 Bangkok offers the full range of possibilities. As expensive as you can’t afford right on down to a couple crumpled bills for the night. The Mandarin Oriental, consistently ranked among the top hotels in Asia, perches luxury along the river. Many hostels offer a dorm bed for less than $10. Long term travelers might move into one of the myriad service apartments with all the amenities, while savvy backpackers or “digital nomads” find studios for less than $300 per month. Boutique and mid-range hotels cover everything in between. Tom Yum Kung Spicy Sour Shrimp Soup. Thai food is delicious. 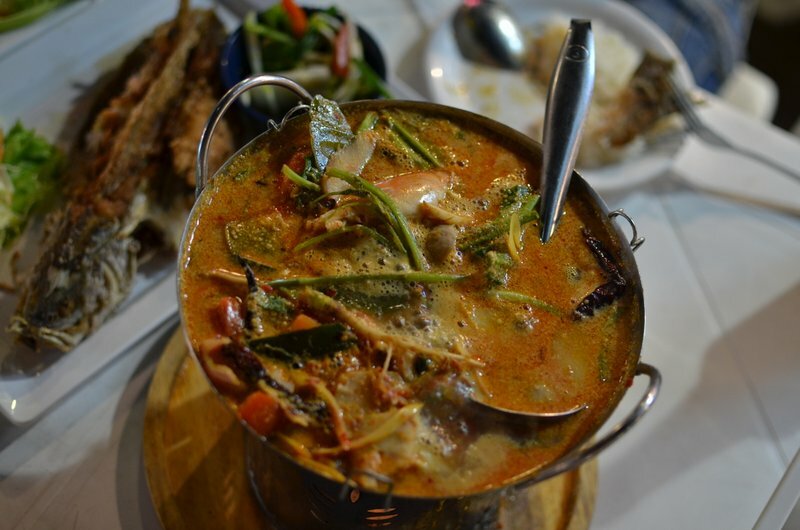 It can be spicy as you can stand, cheaper than you’d expect, and, because the Thai seem to be constantly eating, never more than a few steps away. Street food rules the day. Fresh cooked in a wok over a burner in a food cart, stir fries will set you back one or two dollars. Whole rows of vendors congregate at street corners or in open spaces between buildings. Food courts serve cheap eats to hordes of office workers. They come in heels or business suits to sit on little plastic chairs at metal tables and eat curries, noodle soups, and fried rice. 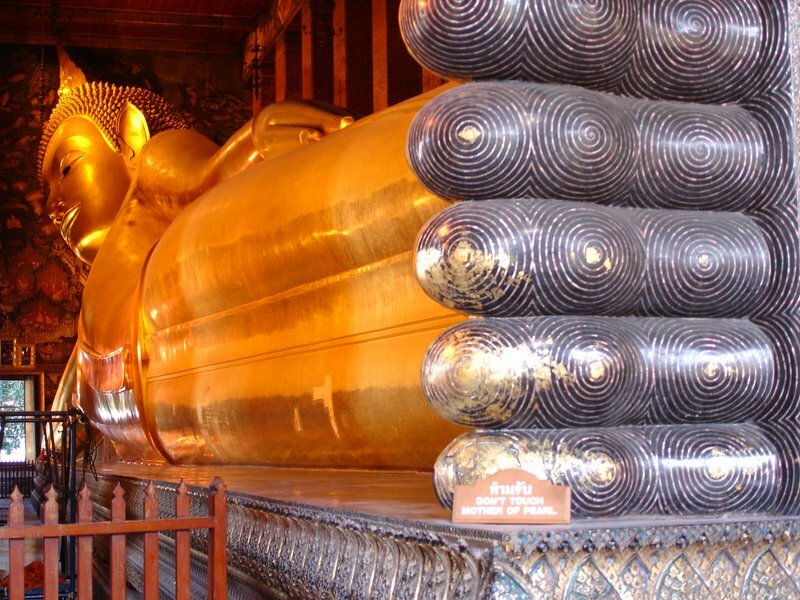 A reclining Buddha at Wat Pho. “Expensive” fresh seafood restaurants are still absurdly cheap compared to Western prices, and international or fusion restaurants are plentiful as well. An eating vacation is not unheard of. All the big name brands are here, spread among a glut of glittering shopping malls with state-of-the-art cinemas. 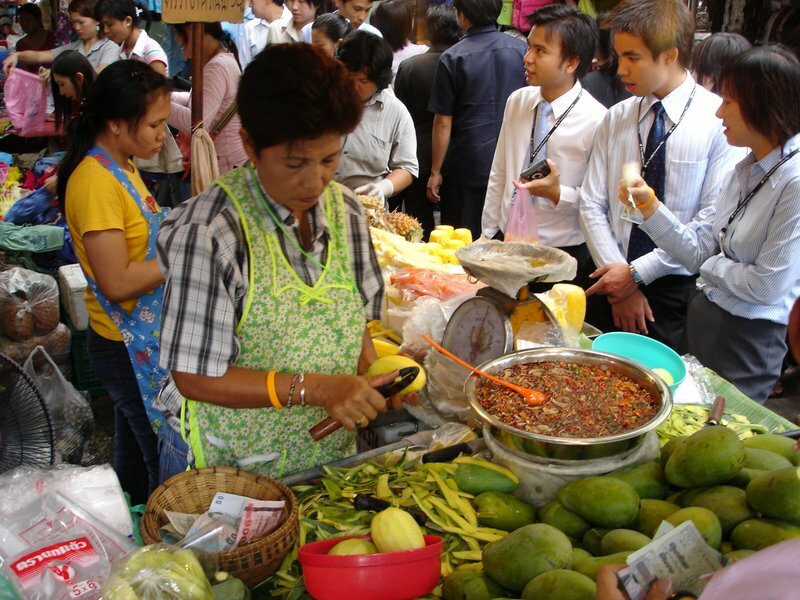 Bargain hunters can shop the tables in markets such as those along Sukhumvit Road, the Chatuchak Weekend Market, or even the low-end mall at the multi-story MBK. Thai history, art, royal monuments, zoos, an aquarium, amusement parks, and palaces – whatever your fancy, it’s here and affordable. The endless collection of temples may soon wear out most travelers; the Reclining Buddha at Wat Pho, a sunset behind Wat Arun, and the temple complex at the Grand Palace should at least be the short list. But then you can head into Bangkok’s excellent Chinatown, attend a meditation school at a temple or see a traditional puppet show at the newly relocated theater along the river at Asiatique. The grand palace from Wat Arun. And if you think this restless city won’t leave you restful, get to one of the spas. Devarana Spa at the Dusit Thani Hotel has taken many top honors in Asia. But a $5 foot massage for an hour might be enough as well. There’s even a massage parlor at Wat Pho, where graduates from the nearby massage school invite you to recline like the nearby Buddha while they work out all your knots.